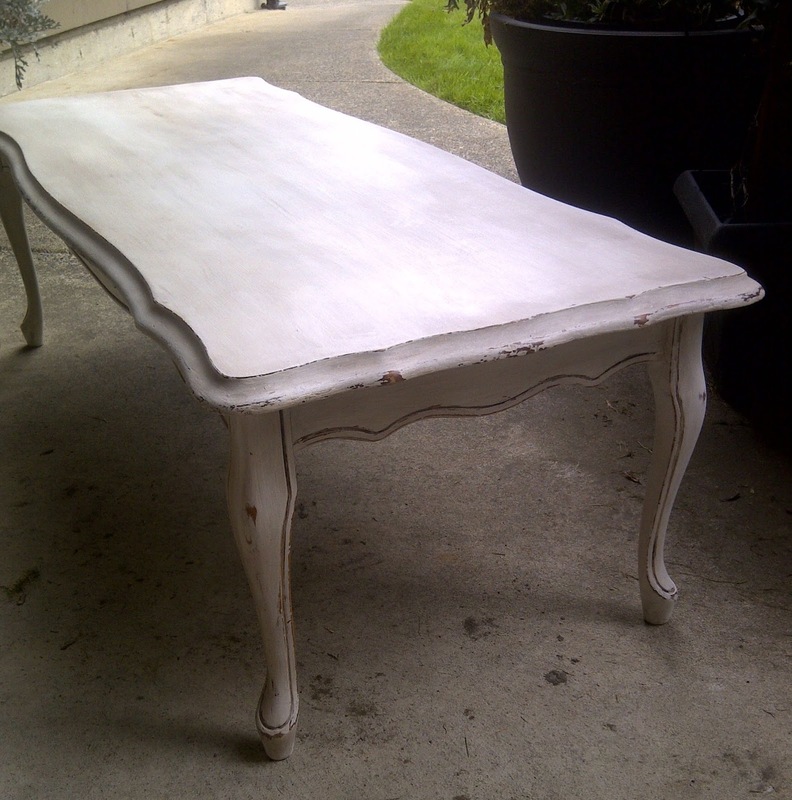 As I mentioned last week, I have been working on refinishing a vintage coffee table that I found at the Burnaby Restore. While we’d all love to purchase an antique small oak table for our living room, my budget doesn’t quite get that high. It’s been an enjoyable project and I’m glad to be getting back into the swing of all things creative & DIY. 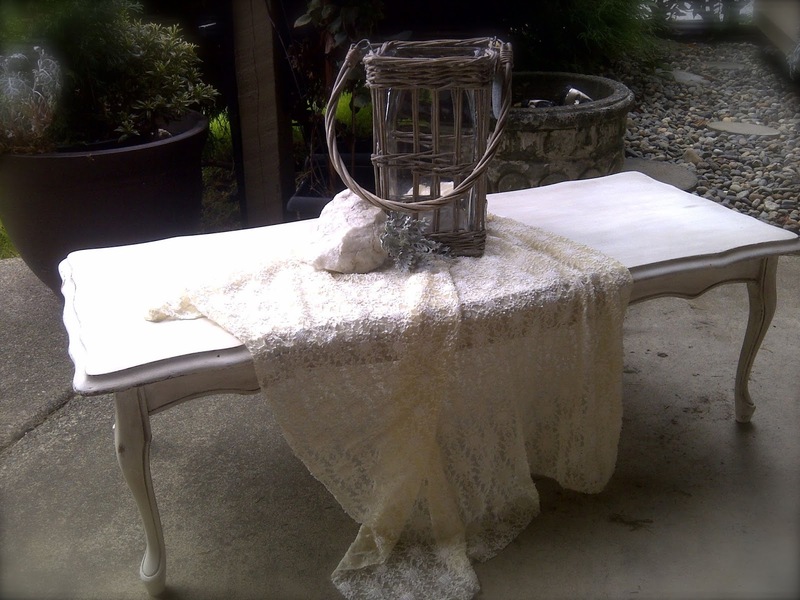 When I found the table I knew from it’s lines that it would be a beautiful shabby chic/ distressed piece. 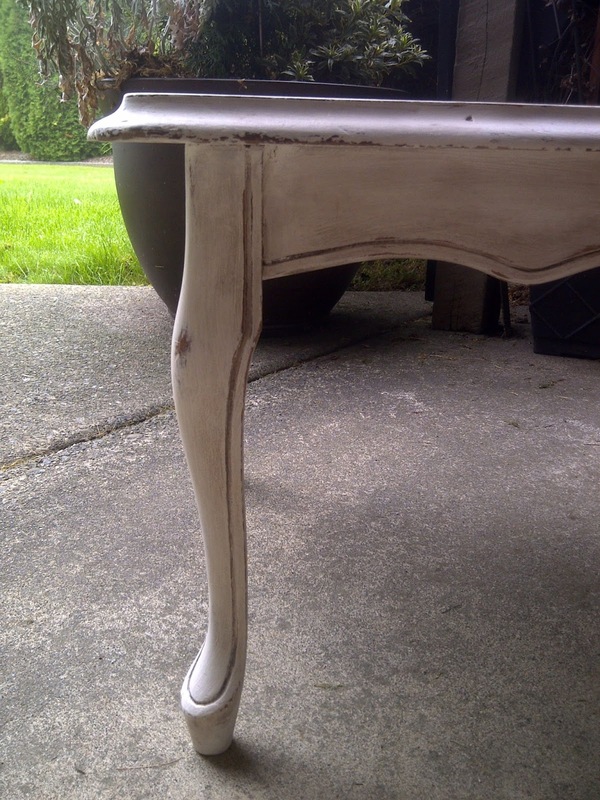 I also knew that I wanted to keep it simple & classic by using a cream finish with dark accents. While scoping out Pinterest (where else?!?!) I discovered all of the applications for chalk paint and decided this would be a perfect opportunity to try the stuff out. 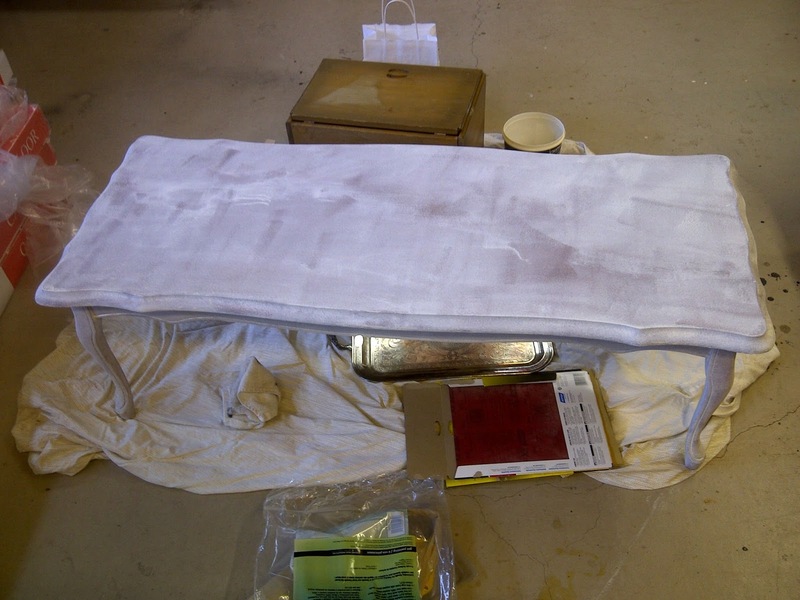 I originally planned to make my own- Restore had discount plaster of Paris & the other supplies and materials that I would need- but decided to save that experiment for another day after talking to some of the staff and hearing their suggestions. 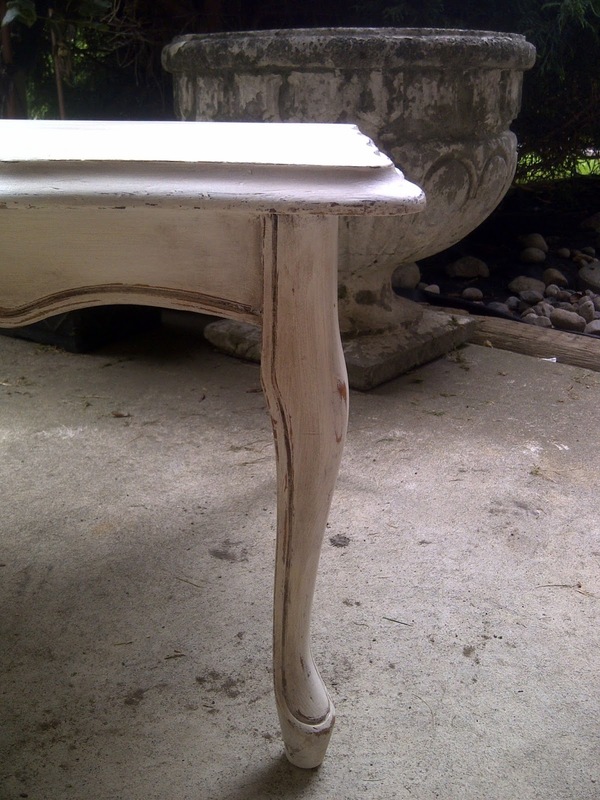 One of the ladies showed me a beautiful buffet & hutch that she had refinished using The FAT Paint Company‘s chalk style paint and wax and highly recommended I check them out. My goodies from FAT Paint! Located at 623 Front Street in New Westminster, the store is tucked in to the city’s Antique Alley. Owned & operated by a brother & sister team- Brad & Victoria- they have been in business for almost a year and seem to have found a nice little niche in the market. Both Brad & Victoria are very friendly and helpful, and you can tell that they are enthusiastic about what they are doing. We had plenty of questions for them when we arrived and both were happy to show us around and help us out, despite being busy filling large retail orders. One of my concerns about refinishing furniture is the chemicals often needed- paint stripper, paint thinner, the paint itself, varnish, etc- since I would have to stop and start my work to tend to lil missy. However the products TFPC sell are without most of the toxic & stinky ingredients that you’ll find in other products commonly used for this kind of project. So, after bombarding Brad & Victoria with our slew of questions we made our selection (which was very hard to do, since they have so many beautiful colours to choose from!). We ended up with a quart of Warm White, a sample size each of Caribbean Blue, and Buttercup, and 2 50g jars of wax- one natural and one dark/ antique. With some final advice & encouragement we were on our way. Once home, I had to unload all the goodies and prep the table. First, I gave the lil beauty a clean with TSP and warm water to remove any dust and residue from the surface. Once dry, I put on the first coat. What struck me about the paint was how thick it was and how little I needed to get good coverage. There was also barely any odour (another bonus). I brushed the paint on and then used a roller to smooth over the finish. After 24 hours I did the second coat. 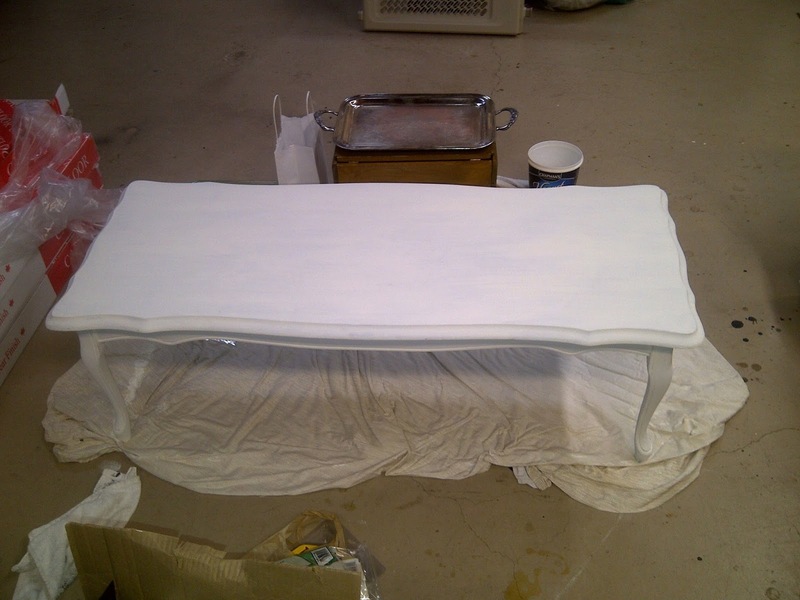 This time I skipped using the roller since I didn’t want the table to be ‘too precious’ (to quote Victoria). When the second coat was dry it was time to distress the lil beauty. Using a fine grit sand paper I went over the entire piece lightly and then gave special attention to the areas I wanted to distress. 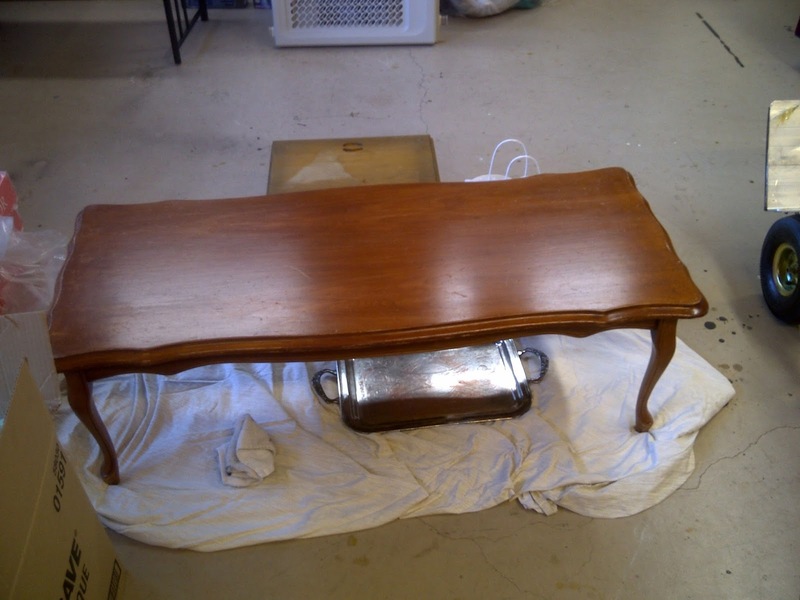 After wiping off the dust I gave the table a coat of natural wax. I used a brush to apply the wax and an old cotton t shirt to rub and buff it (sounds a lil dirty!) ;). Once I was happy with the first coat of wax I let it dry and then applied the dark/ antique wax to age & distress the areas I wanted. Finally, I did a second coat of natural wax to help give a soft gloss to the finished piece. One final wipe down and voila! This lil beauty is ready to show off! 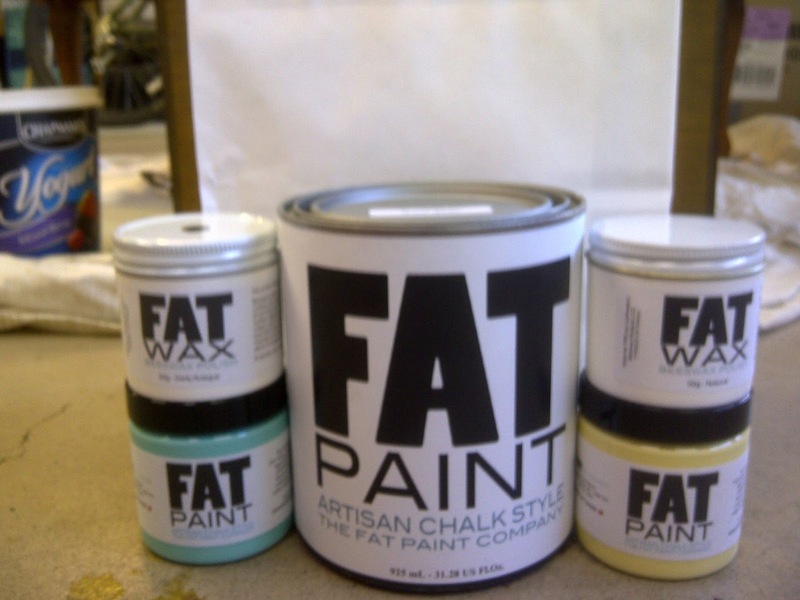 If you want more info about the products I used and/ or about FAT Paint, check them out here. If you are interested in the table, leave a comment or send me an email: kpetrunia@hotmail.com. I’d love to hear what you think! I can’t wait for the next project! Stay tuned!